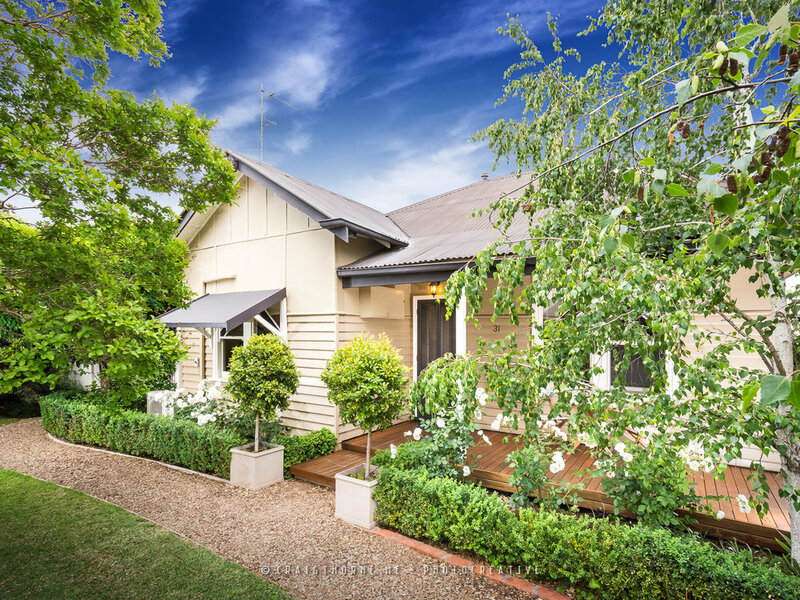 This beautifully presented home is rich in character and personality. From the moment you enter the gate, you experience the English inspired cottage garden with hedges, silver birch trees and manicured lawns. 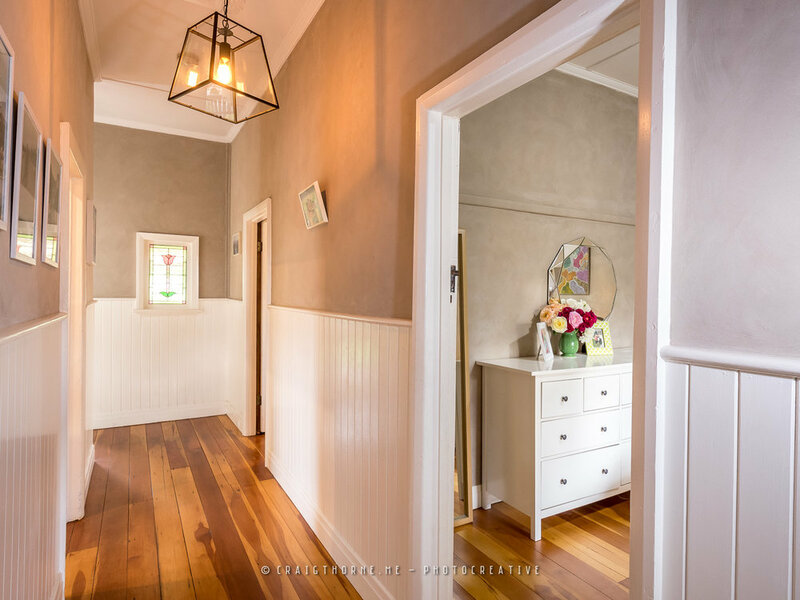 This 1930 circa home maintains many of its period features and has lost none of its original charm with the quality transformation in modern living and comfort. Warm polished floor boards and high ceiling with ornate ceiling roses are features to the lounge and leads through to modern kitchen with stainless steel dishwasher and 900mm free standing oven. Impressive bathroom with stone bench tops and eye-catching fittings. 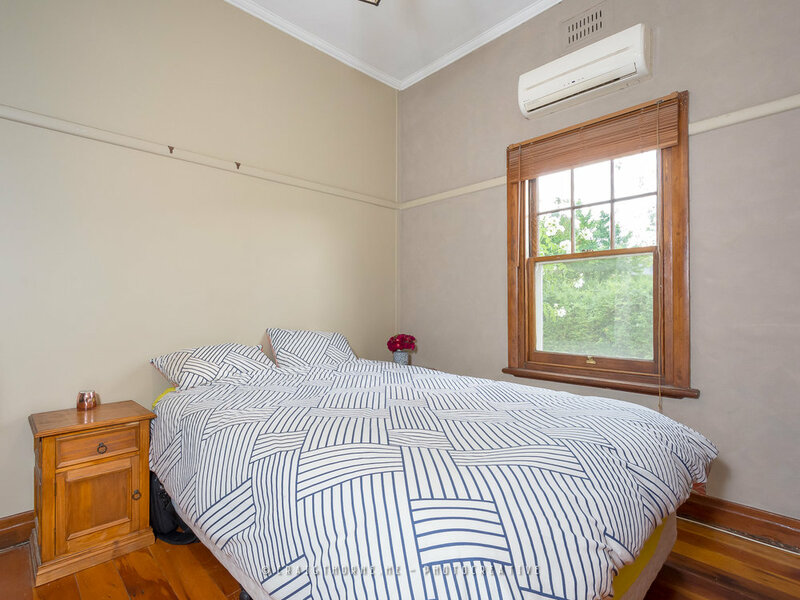 Two comfortable bedrooms are located at the front of the home, with the third bedroom in the privacy of the back of the home off the sunroom that catches the morning light. 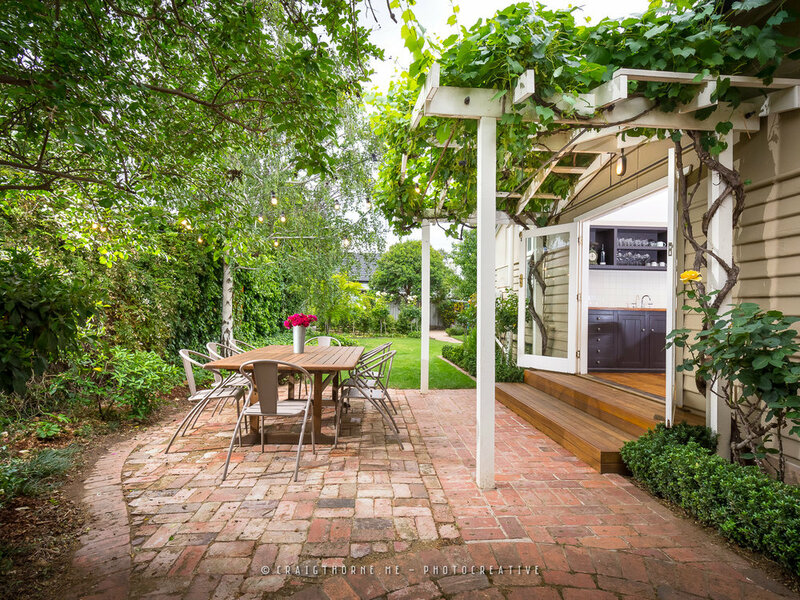 Large French doors lead off the dining area and open into the outdoor entertaining area which is covered by a canopy of greenery with views of the private rear yard and garden beds. 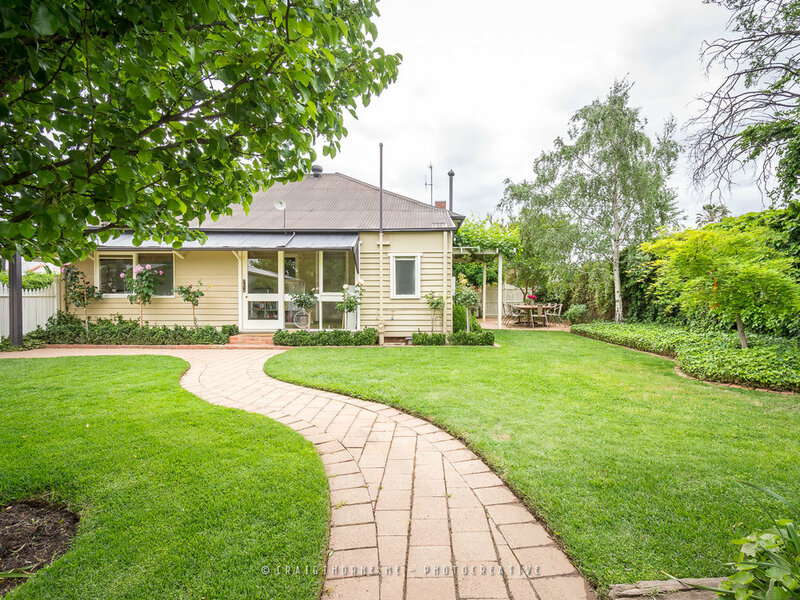 Other features include an impressive fully fenced back yard, 7mt x 4mt (approx.) shed with a concrete floor and power, double carport and high front fence and gates keep the children and pets under control. 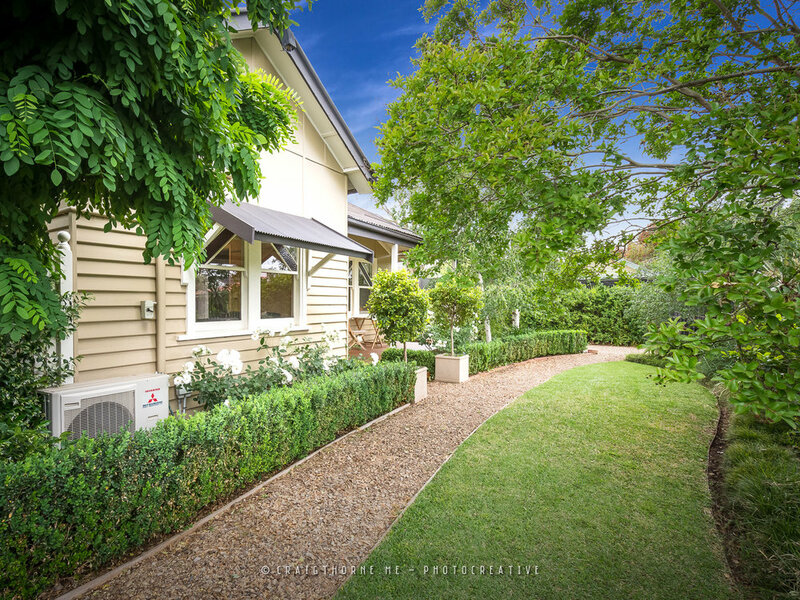 A sought-after area close to schools, shops and walking distance to the CBD and sporting facilities.